The install is very straightforward. Nothing earth shattering is to be found here if you can turn a wrench but there is a trick or two that might be worth noting. 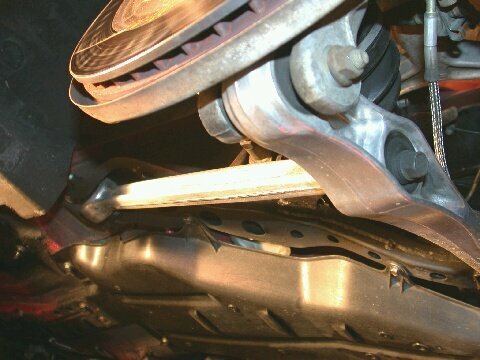 The first "trick" is done to ensure that you have some semblance of alignment left after installation of the new parts or at least good enough for you to drive the car to the alignment shop without destroying a set of tires on the way. And that is to get the new toe links close to the same length as the old toe links. 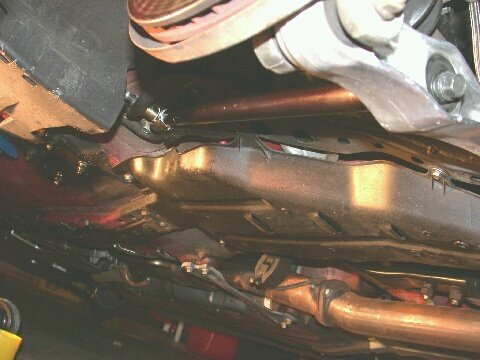 All I did was use a 2x4 with a stud screwed into a hole on one end dropped the stock toe link onto the stud and drilled a hole in the 2x4 which lined up with the bolt hole in the other end of the link to use as a jig for the new toe link. Easy and straightforward. The 2x4 jig for setting the length of the new toe links. 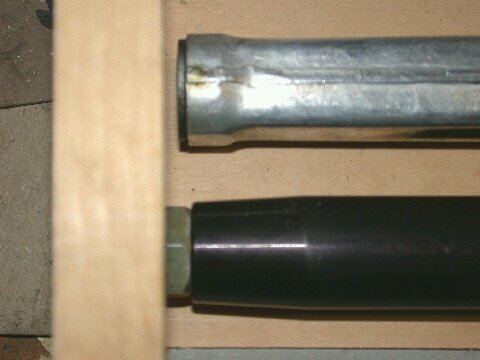 Note also the relative size of the HUGE OE bushings. 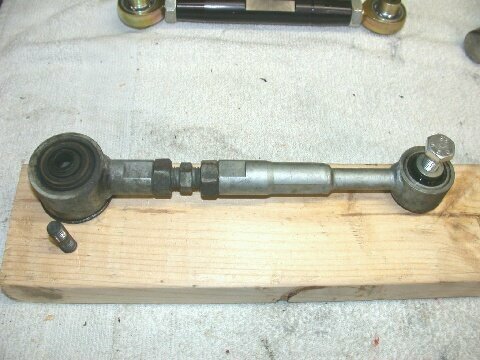 For a double check run bolts through each end and see if the links are the same length. 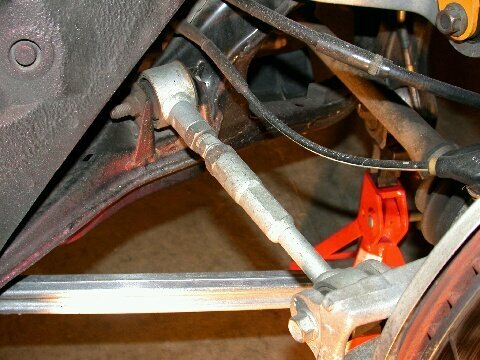 Installing the new toe links is just a matter of bolting it up. The M2 links have the two wider spacers on the chassis flange and the two shorter spacers on the hub. 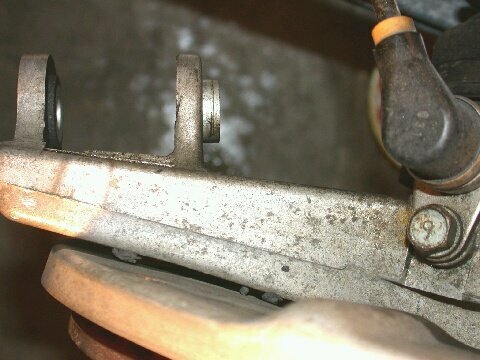 If the two spacers won't fit on the hub end then there is a small bushing/sleeve that needs to be "tapped" out. 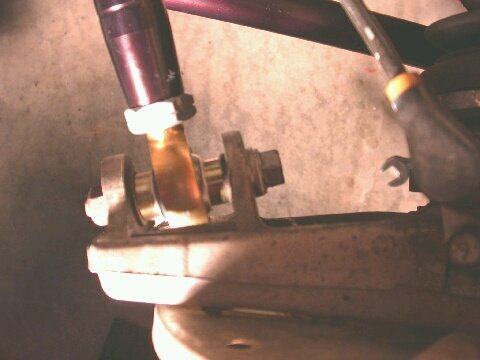 Give a good shot of PB Blaster or Liquid Wrench and with a small brass drift tap it far enough out so the toe link and spacers will fit. No grinding or filing should be necessary! 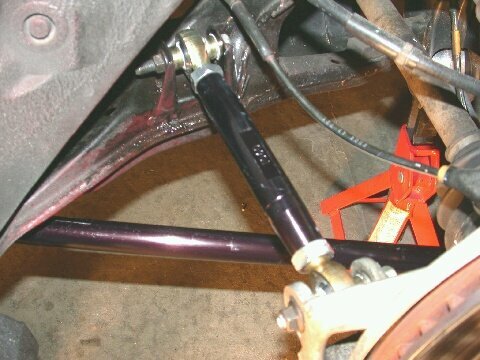 The sleeve "spread" to allow room to bolt up the toe link hub and with spacers. And what the assembly looks like bolted together. Note the sleeve has moved back in. 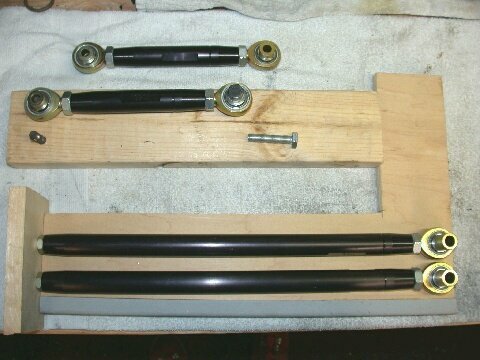 Next up are the trailing arms. Perhaps the only caveat is to make sure that the wider spacer (on the chassis end) is used on the "outside." 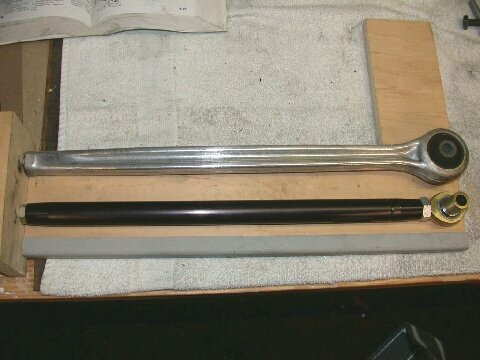 This is what gives those wider rims that extra few millimeters of room over the stock trailing arms. Very simple, very easy. My only concern was that the M2 arms were about 2 mm longer than the stock parts - and could not be made shorter? I'm sure this will have an effect on my alignment but seeing as an alignment is due anyway hopefully it shouldn't be too devastating when I have to drive it to the alignment shop. 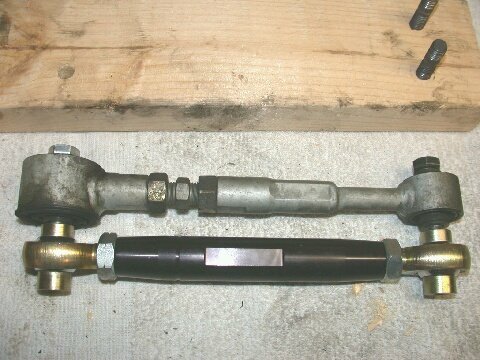 Comparing the M2 arms with the stock trailing arms look at the relative size of the bushing! No wonder we get wheel hop. Note too the difference in arm length. Not much but will surely mess with the alignment. And there you have it. Everything installed. The only thing I did was to smear all the spacers with a light coat of lithium grease to inhibit corrosion and stop any sort of binding. Is it needed, I dunno but I don't think it hurts.